The power of storytelling has been recognized for millennia. From Aesop to Hans Christian Andersen to Steven Spielberg, great storytellers are celebrated by our society, almost as much as the people that they glorify in their tales. We tell our kids stories, businesses are encouraged to share stories to build culture, and we all admire that person who can captivate a group of friends with a fascinating tale, true or invented. The reason we appreciate these great storytellers is hard-wired in the human brain. Storytelling predates written language, of course. It is how our ancient ancestors communicated what to fear, what to value and whom to love. Studies reveal that whether we are told a story or not, our brains will naturally try to build a story around a set of facts. In other words, if a trial lawyer fails to build a story, judges and jurors will build one anyway. It's how we make sense of a set of complicated facts. It’s how we impose order upon chaos. It’s how we resolve tension and conflict. As more and more experts study what works best in the courtroom, the value of storytelling is being increasingly recognized. We have written frequently about the subject and plan to release an e-book on the topic next week. Other top trial consultants write about storytelling too, and I would like to highlight some of the best articles that I have found on the topic. 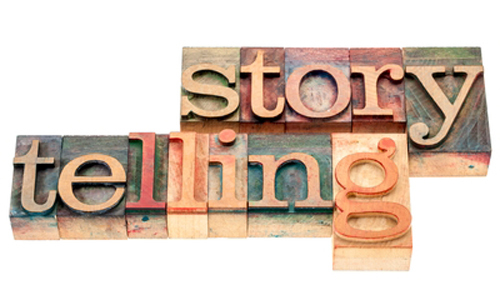 Here are 20 articles from trial consultants and lawyers around the industry that discuss the power of storytelling in the courtroom. Watch for a new complimentary e-book next week that we are publishing on storytelling for lawyers. If you'd like to be notified of its publication, be sure to claim your free subscription to The Litigation Consulting Report here. When You Think "Story" Think "Structure"
There are many great articles out there on this topic, and unfortunately many are hidden behind a paywall or require a subscription. I've endeavored to list only those that you can readily access.